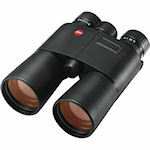 Leica Rangefinders come in the binocular (Geovid) and monocular (CRF) style. All Leica Rangefinders are high-performance optics with advanced laser technology and ranges up to 2000 yards. Their advanced electronic ballistic ranging can account for muzzle velocity, temperature, and barometric pressure. Golf range finders are also available. When you need the best - Leica Rangefinders qualify. 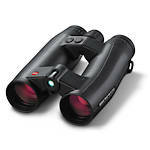 Leica Geovid HDs are range-finding binoculars providing accurate measurements up to 1825 meters. They have fluorite glass for better definition, brilliance and contrast and provide advanced ballistic compensation for all hunting needs. Read-out is in meters or yards. Geovid HDs are available in 42- and 56-mm objective sizes and 8x or 10x magnifications. Leica Geovid R Rangefinding Binoculars keep things simple to help reduce the price, while maintaining all the important functions and optical qualities that Leica is known for. 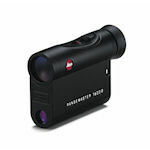 Leica Rangemaster CRFs are laser rangefinders with 7x magnification and a broad field of view. Rangemaster CRFs come in two models: the 1000-R with a range of 10-600 yards, and the 1600-B with a range of 10-1600 yards. Leica Rangemasters offer rapid and accurate range measurement in an intuitive, waterproof package. 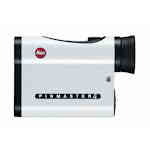 The Leica Pinmaster II golf rangefinder is lightweight and stylish with a range up to 820 yards. The Pinmaster II is designed for easy one-handed use. It is waterproof up to one meter depth and features Leica's proprietary AquaDura coating so they shed water from the lens, for accurate readings in any weather.